Networking is hard and most of the time when you go to an event for networking, you don’t know a lot about people and surely don’t have enough information before getting there. This app is really cool and will help you a lot when it comes to networking. What does your Lincsphere Stands for? What is the story behind the name and how was it born? The word LincSphere essentially means the “lincs” (or “links”) you have with other people (i.e. your relationships with them) that determines your “sphere of influence”. In other words, your “lincsphere” is your network in the true meaning of the word – the relationships you can actually leverage when you need to in order to get things accomplished, not merely the endless list of names you collect from events, online, etc. Chris Owens is the sole founder of LincSphere. 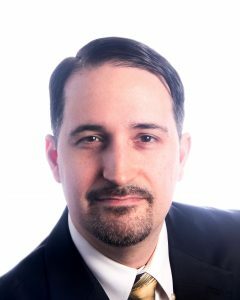 He’s had a web design business for the past 9 years where he works with a team of contractors to get projects done. Initially he used his web design resources to build a web application and brought on some early users to see what they thought. Ultimately, it was discovered that the application needed to be a native mobile app instead. The original website was scrapped and two technology companies came on board as equity partners to provide the app development resources we needed. That gave us a 5 man team of developers to work on the project and we are now finally in a private beta for the iPhone app. We hope to launch live on the Apple App Store in a month. Then we’ll redirect our focus to building the Android version. 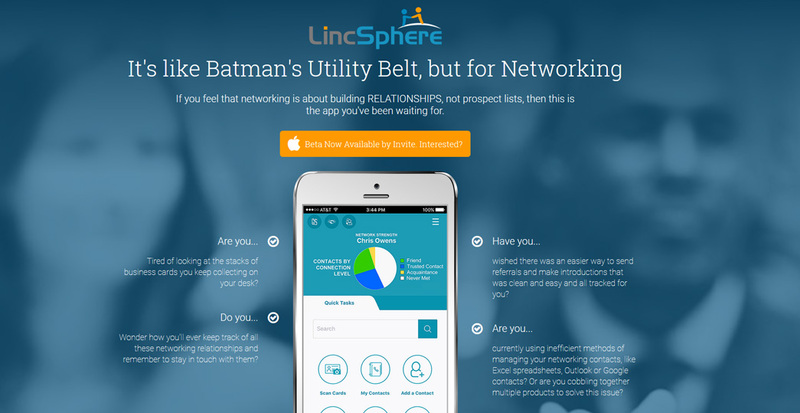 LincSphere is about more than improving a person’s productivity in networking, it is about changing the CULTURE of networking from one of shallow prospecting to one of building a web of trust-based relationships through the practice of generosity. Where can we find and try the app? Well we have our website: www.lincsphere.com and blog.lincsphere.com. Product will be sold via the Apple app store once we launch and then in the Google play store once we build an Android version. Well we’re finishing up this beta of the iPhone version and we will modify any functionality based on user feedback. So it’s hard to say what functionality we will be adding in the future, but there are a few things in the plans: like features that will make it easier to see WHO is at a networking event, and features that would allow users to plug LincSphere into their company CRM so they can pass data over easily. What would you say to a young entrepreneur that wants to build an app like this one? write down who you think would want to buy it and then go ask a bunch of people that fit that customer profile and try to prove yourself WRONG. That process will either prove your idea is one worth pursuing, prove that it is a waste of time, or reveal a DIFFERENT problem/solution/customer that you CAN go after profitably. Once you nail down what that is, then be PERSISTENT AS HELL towards accomplishing your goals.